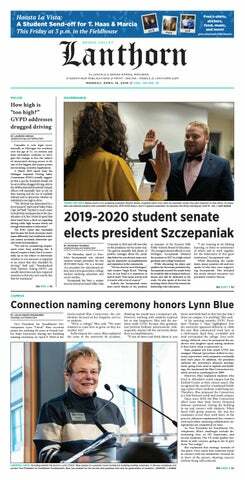 Editor's note: This letter to the editor is in response to a column by Jake Keeley published in the Sept. 26 issue of the Grand Valley Lanthorn, titled "The challenges of public speaking." It is only with hard work and extensive practice that I’ve become a skilled speaker. If I can do it, you can too. In a recent Lanthorn article, “The challenges of public speaking,” the author said, in summary, requiring public speaking in college classrooms is a waste of time. I disagree with this premise. Primarily, I am concerned that the author is contemplating giving up on the life-long process of learning associated with public speaking. Additionally, I am afraid the purpose of a liberal arts education has been misunderstood. Finally, I want to offer a helping hand. First, the author of the column views public speaking as either a skill or talent. This view suggests speaking as an innate talent, but that's just not true. The issues the author addressed in his column are not uncommon and can be addressed by continued learned. Taking storytelling classes, learning empathic listening skills and practicing how to teach others will address each of these deficient areas. Don’t give up—keep learning. Second, it seems as though there is a misunderstanding about the purpose of a liberal arts education. It might be useful here to describe what a liberal arts education is not. It is not simple job training and it is not singular in nature. In other words, an education at GVSU will not prepare you for one specific job in one specific location. Instead, it will prepare you for a lifetime of opportunities. It will teach you how to recognize and capitalize on those opportunities, and how to use them to benefit yourself and your community. When the author states that he should not have to speak in public because he is “not good at it,” he misses the point. That is the exact reason he should be asked to speak in public—to become good at it. Similarly, the author states that group projects should be designed to emphasize individual skills and de-emphasize individual weaknesses. I disagree. These assignments, and others, should be aimed at teaching and learning, challenging and improving, as well as experiencing and developing. Without challenge there is no growth. Without growth there is no education. Finally, and as a larger point, I lament the notion that speaking is something students feel forced to do. Speaking, in our culture, is a unique right. We should exercise our freedoms since we are so fortunate to have them. I understand better than most that public speaking isn’t always fun or comfortable. However, I also understand better than most that it is necessary. For civic engagement, for education, for growth and confidence, public speaking is ubiquitous. That’s where I am able to offer a helping hand. For any member of the GVSU community who feels that speaking is overwhelming, unnecessary, or otherwise useless, I challenge you to make an appointment at the GVSU Speech Lab. At the Speech Lab, we celebrate speaking and the empowerment of speakers. Before anyone gives up on public speaking, give us a chance to change your mind. Remember: keep learning, keep practicing and stop by Room 154 Lake Michigan Hall. Our door is open.